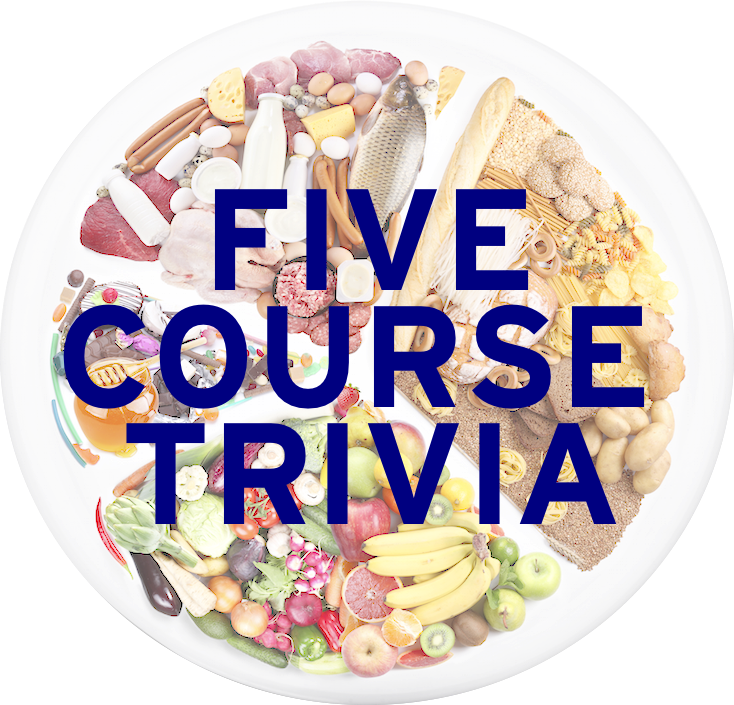 Before we get into the questions, I’d like to announce that today is the 100th installment of Five Course Trivia! Thanks to everyone who have tagged along for all this time, and I look forward to many more installments as a reach my goal of knowing all food. Learned League precedent (LL69, MD12) – A distinctly American sandwich comprising an absurd number of layers of various meats, cheeses, vegetables, and condiments takes its name from that of what popular comic-strip character? I’ve been a comic strip fan ever since I was a child, and the famous Dagwood sandwich was known by me. While I’ve seen Dagwood eat plenty of his sandwiches, I feel like I’ve seen Shaggy and Scooby knock down more of them. By the way, have any of you actually tried eating a Dagwood sandwich? It seems…pretty difficult. My love for the funnies now puts me at 5 for 5 in Food/Drink questions. What food hysteria is this? Today’s post is all about sandwiches. Enjoy the 100th episode! 1. Name the sandwich seen here. 2. What’s the most noticeable feature of a Luther Burger, both physically (and subsequently, calorie-wise)? 3. Consisting of kielbasa on a bun, and covered with french fries, coleslaw, and barbecue sauce, name the sandwich seen here, native to Cleveland. If you remove the 3rd through 6th letter, you get the name of a sandwich native to a state much more southern than Ohio. 4. A Reuben sandwich is made with rye bread, corned beef, sauerkraut, Swiss cheese, and what kind of dressing? 5. This is a cheesesteak, named after its two main ingredients. The bread that it is served on is called a what, also the local name used for a submarine sandwich? Bonus 6. Give the brand name Smucker’s uses to sell the sandwiches pictured here.